Important! The Labor Services feature must be turned on for your Back Office application. 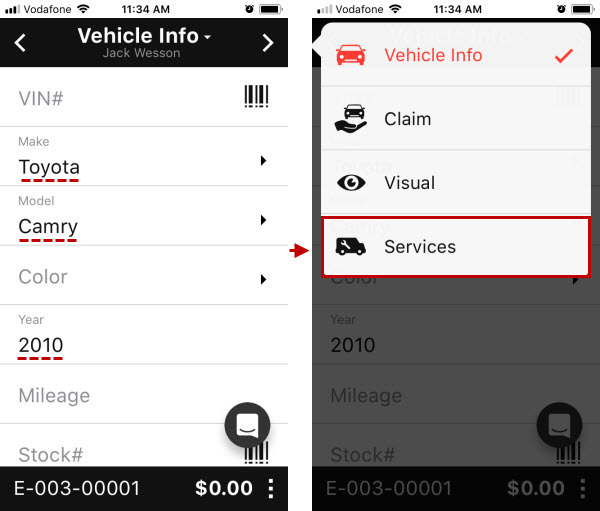 On the Vehicle Info screen of an inspection, enter vehicle make, model, and year, and then swipe to or select the Services screen. 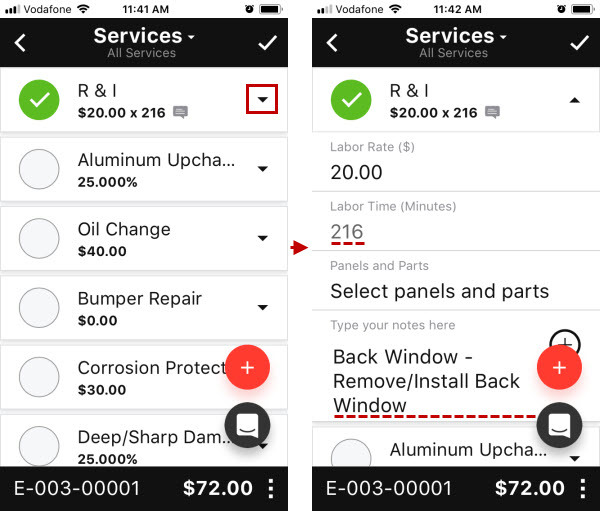 On the Services screen, tap the Details icon next to the R&I service, enter the appropriate value in the Labor Rate ($) field, and then tap the Panels and Parts field. 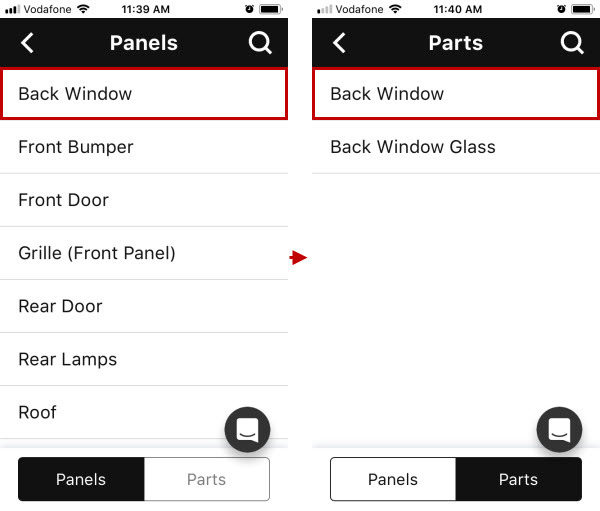 On the Panels screen, tap the appropriate panel, and then on the Parts screen, tap the appropriate part. Note The default labor time gets automatically adjusted based on actual labor time for the given vehicle, and the name of the selected panel and part is automatically added to R&I service notes. 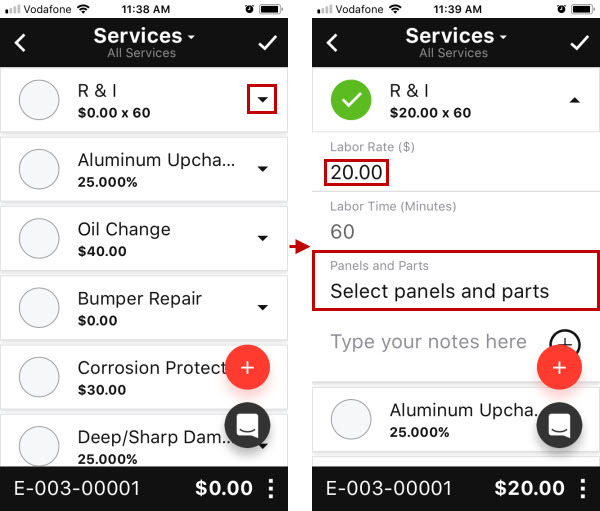 Tip You can select multiple parts per panel, so that multiple instances of the labor time service will be created (one for each selected part).